Click here for the Hotel and Tour booking. The cruise starts and ends at the pier "St Pauli Landungsbrücken". The typical Hamburg "Barkasse" (Barge) will pass by the largest container terminals of Hamburg's harbor. Experience one of the biggest harbors in the world during this boat ride on the river Elbe, or sail with us under the romantic bridges in the storage city (depending on the water level). Travel aboard the agile barges through the port of Hamburg, to the channels of the storage city, and along the container loading stations. 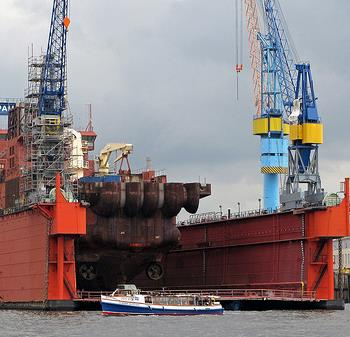 You will see the Ellerhof lock-gate system as well as the repair docks, the floating docks, and the dry dock plant Elbe 17 of Blohm+Voss. This is exactly the perfect tour to get to know the inner-workings of the port of Hamburg. 10:00 Travelling independently to the "St Pauli Landungsbrücken"
Experience one of the most exciting places in the North! 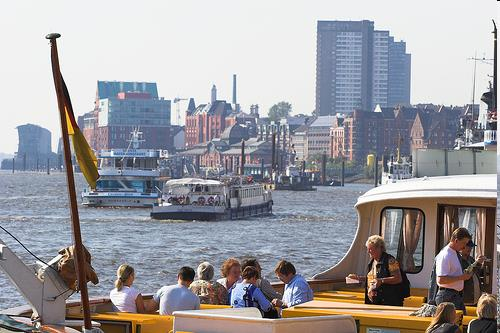 Culture, stage, history, modern architecture, nature, on land and on water: Hamburg has something to offer everyone, no matter your interests! This tour is the most traditional way to get a brief yet thourough understanding of the Hanseatic City of Hamburg. The Line A route will bring you to all the familiar highlights of Hamburg, along the Speichernstadt, through the HafenCity and to the shopping mile of the city! 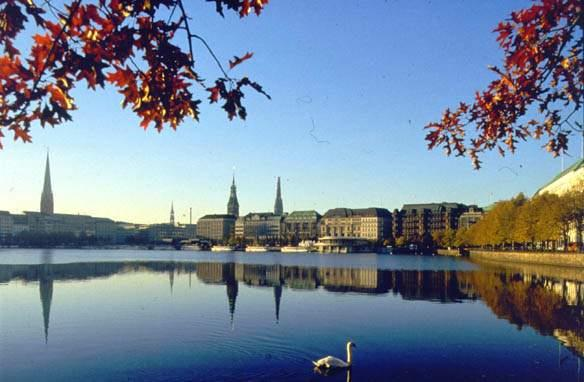 Experience the splendid Villas in the Harvestehude region of Hamburg, the Außenalter (the larger of the two man-made lakes in Hamburg), the city hall, a multitude of meseums, the well-known Reeperbahn and the breath-taking Harbor backdrop. 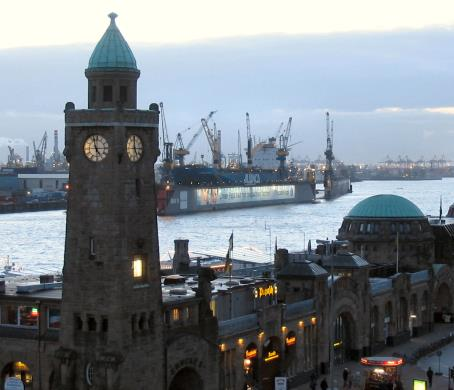 This tour will give you the best overview of Hamburg! Departure directly from Hotel Radisson Blu (see map) City tour through Hamburg approx. 95 min Return to Hotel Radisson Blu or individual end in the city center.